HomeHow’s Your Hearing? Maybe Not as Good as You Think. How’s Your Hearing? Maybe Not as Good as You Think. If you think your hearing is fine, a new report from the Centers for Disease Control and Prevention (CDC) should make you think again. One in 4 people ages 20 to 69 who reported that their hearing was good to excellent were found to have hearing damage. This kind of “hidden hearing loss” doesn’t show up on standard hearing tests but can make it difficult to impossible to hear conversation in a noisy setting. The CDC analyzed more than 3,500 hearing tests conducted by the National Health and Nutrition Examination Survey (NNANES) in 2011 and 2012. It found that 20 percent of people who thought they could hear well and who said they didn’t work in a noisy environment nevertheless had hearing loss — some of them in their 20s. The type of loss they had, including a drop in the ability to hear high-pitched noise, indicated that noise damage may be to blame. Even more surprising, more than half of the 40 million adults who have noise-related hearing damage developed it away from the workplace, from exposure to noisy rock concerts, sporting events, leaf blowers, traffic and other sources, the CDC reported. Adding to the problem, 70 percent of people exposed to loud noise never or seldom wear hearing protection. Although noise exposure in the workplace is well documented as a cause of hearing loss (the danger level is set at eight hours at more at 85 decibels, equivalent to the sound of heavy city traffic), the proportion of people with this kind of loss who don’t have a noisy workplace is an indication of how loud our everyday world is. The understanding that some hearing loss is hidden and doesn’t show up on standard hearing tests is relatively recent, the Associated Press recently reported. The loss, Harvard otolaryngology researcher M. Charles Liberman explained, may be caused by loud noise that damages the connections between hair cells in the inner ear and the nerves that carry the hearing signal to the brain. You can test how well you understand speech in a noisy environment using a special online exercise prepared for the Associated Press in conjunction with the Mailman Center for Child Development at the University of Miami. To take the test, click here. You will be asked to repeat a series of sentences. The exercise begins in quiet, but then slowly introduces background noise. The noise comes in six levels, faint at first but eventually louder than the words. People with hearing loss will start to have some trouble understanding the words at the second or third level, the AP reported. What both the CDC report and the recent research into hidden hearing loss indicate is that people need to be aware of the noise they are exposing themselves to, and wear earplugs or noise-canceling headphones to protect their hearing. Keep the volume down, whether it’s while watching TV or listening to music or other programs through earbuds. The Hearing Loss Association of America offers more information on the CDC report, on its website. You can also go to the CDC website. Update (May 9, 2017): For more on this, read the May issue of Hearing Journal: Noise-Induced Hearing Loss: What Your Patients Don’t Know Can Hurt Them. This post first appeared on AARP Health on March 22, 2017. 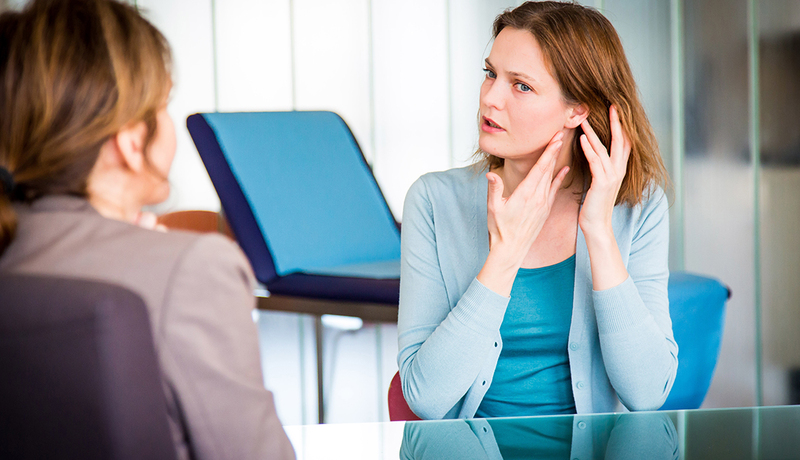 ← Hearing Loss Won’t Kill You, or Will It? Hearing loss is a severe disability and I find that people with hearing loss are not given the same accommodations as those with disabilities that are visible. People who use American Sign Language as their first language are given the same considerations as those with visible disabilities. Sign language is a visible language. Students with hearing loss who are not aware of CART (Communication Accessible Realtime Translation) are at a disadvantage when they enter college. Seniors with hearing loss are at an extreme disadvantage because their hearing loss in many cases leads to dementia. Thanks for this comment. All of us with hearing loss have to be as open as we can about it, to ask for accommodations, to ask people to speak more slowly or more clearly and explain why — And then maybe hearing loss will stop being so hidden. I also think that any measure that makes hearing aids more accessible (cheaper, easier to use, easier to find, guarantee of quality even if not paying top dollar) will also help make hearing loss a visible disability. My next column is on a study of hearing aid efficacy — they do work, and so do cheaper hearing-aid like devices, especially with a good audiologist’s help. It should be up in a week or two. Has to post on AARP first.